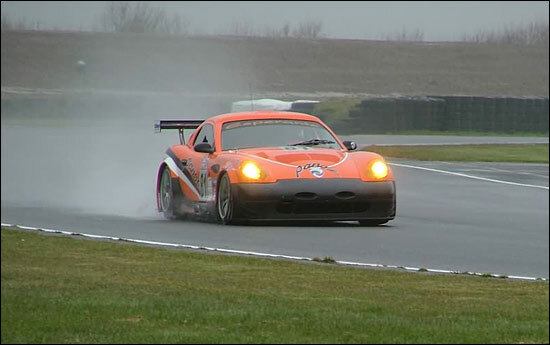 Former BTCC man Luke Hines tested a Team LNT Panoz Esperante at Sebring just over a month ago, and enjoyed the experience immensely: “The car is bloody quick and handles much more like a single seater than I expected,” he said after that test. The team has now confirmed that he will race the British GT car this season, with Tom Kimber-Smith. 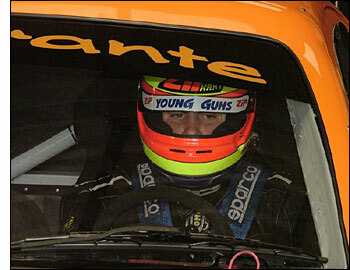 These two both raced for Richard Dean’s Team JLR F Ford squad in 2002: Dean is the MD at Team LNT. Which these two undoubtedly will. 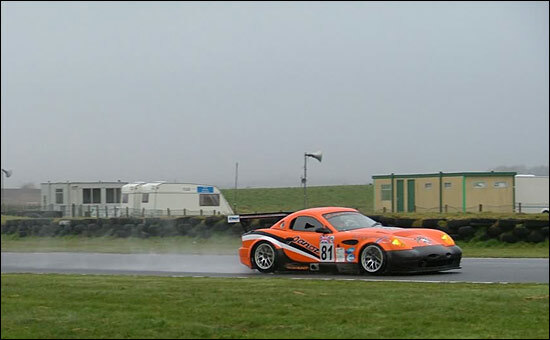 Luke Hines (right) has been testing with the team at Pembrey this week – but it’s been horribly wet in that part of South Wales. Richard Dean and Lawrence Tomlinson were initially grounded, in the team owner’s helicopter, at Wolverhampton, but made it to the track by lunchtime on day 1 (Tuesday March 7). 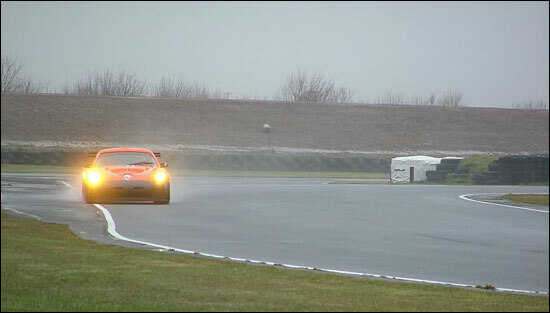 Development work was carried out on Avon and Pirelli wet tyres, which will be used in the British GT Championship and the Le Mans Series respectively. Wednesday initially saw a lake on one part of the track, but Luke Hines gained some experience of the Avon wets in the afternoon, while the Pirelli-shod car was driven by Dean, Tomlinson and Rob Bell. These three will be joined by Warren Hughes for the Le Mans Series races. 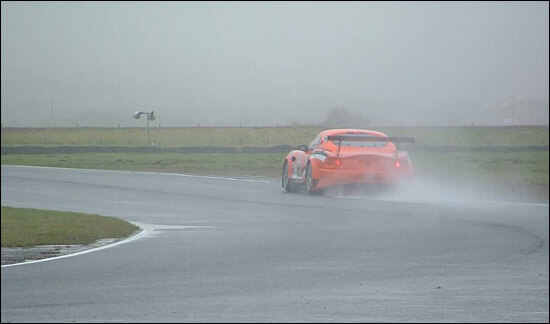 After all that wet weather action, the team now focuses on Sebring, where Tom Kimber-Smith joins Richard Dean and Lawrence Tomlinson in the #96 Team LNT Panoz Esperante – where hopefully the circuit will be dry throughout the meeting next week.